Last week I accidentally found myself at the launch of a new beer. 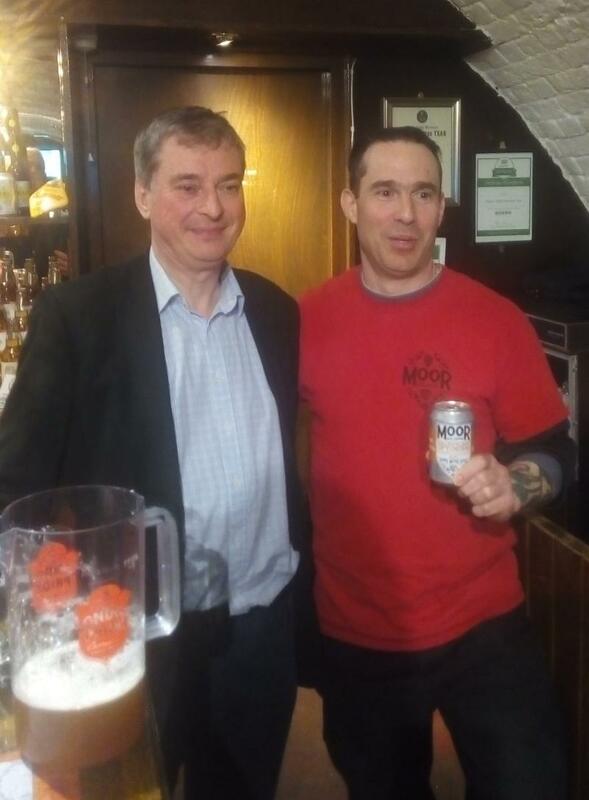 There I was at the Fuller’s brewery for a very interesting seminar on re-creating historic beers (of which, more later), when a brand new beer was announced – and it wasn’t a Fuller’s brew, either! Brought up from Bristol specially by Moor Beer Co’s head brewer Justin Hawke, Relentless Optimism was immensely fashionably – and very appropriately, given our location in a real ale heartland – available to taste in cask-conditioned, keg-conditioned and can-conditioned form. Once CAMRA’s technical group catches up (and they’ve already validated keg-conditioning), all three formats will be acknowledged as real ale. It’s a three-way collaboration between Justin, his guest Fernando Campoy of Spain’s Cerveza Domus, and Fuller’s John Keeling. It seems Justin and Fernando decided to brew a "non-traditional" interpretation of ESB, and thought who better to ask for advice than the man whose ESB is that rare thing – a brew that founded an entire new style of beer. So what’s the beer like? For a start it was cloudy in all three formats – not quite Bristol Murky, but close! It looks and tastes quite different from Fuller’s ESB, yet you can see similarities in how the toffeeish malt balances the herbal and resinous bitterness. It was also very interesting to see how each serving format emphasised different aspects of the beer – as John said, the cask version had a bigger mouthfeel, while keg dispense emphasised the hops a little more. Some people preferred the can-conditioned version though, perhaps because it came somewhere in the middle – a nice bright hoppiness, but still with that caramelly body and a decent alcohol warmth. Surely unfined doesn’t have to mean cloudy? If your yeast is sufficiently flocculant, and you leave the beer long enough, it will clear naturally. Quite a few brewers have stopped using finings, including local examples Brew Buddies and Hastings. We have had beers from the latter company for the last three years at our Spa Valley Railway Festival, with no complaints about cloudy beer. They taste pretty good as well! 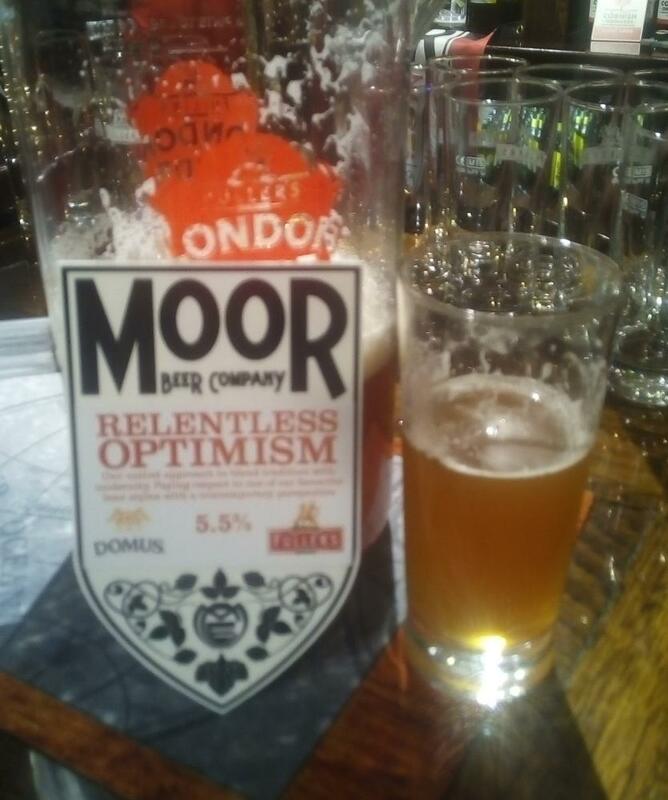 True, and I too have had other Moor Beers on cask that had dropped clear. But this one was cloudy in every format. Maybe a Fuller's Master Cellarman will get it to clear - we shall see!